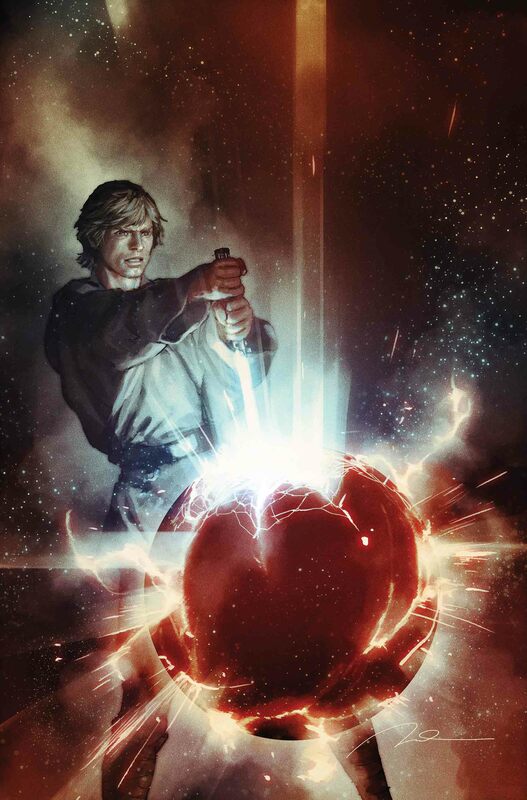 Discussion in 'Star Wars: Books & Comics + Legends' started by SWNN Probe, Apr 15, 2019 at 4:02 PM. 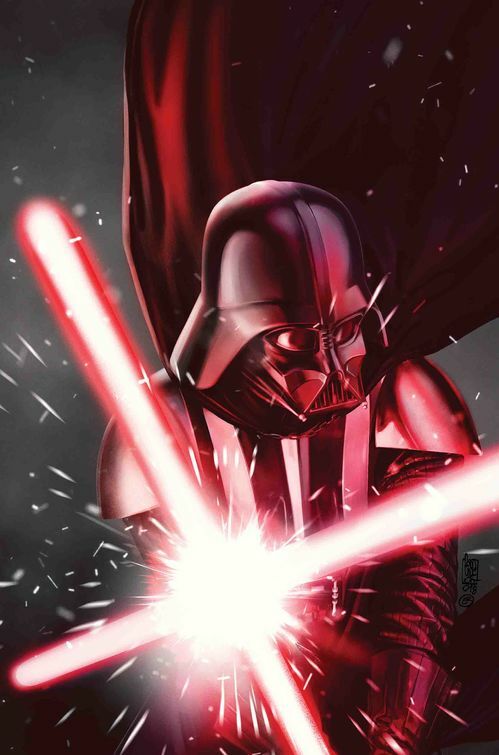 Marvel's Star Wars titles continue to expand the storytelling of Star Wars and today at Star Wars Celebration fans were able to get a glimpse into what it took to make the future holds for the Age of, the titular Star Wars series, and a new series called Target Vader. Marvel is also ramping up to tell many stories that tie into the world of Galaxy's Edge and we got a chance to see what's in store for those projects. First up, a Galaxy's Edge series that revolves around a junk shop in Black Spire. This series was announced a few months ago but we were treated to some of the lush covers and inner art. 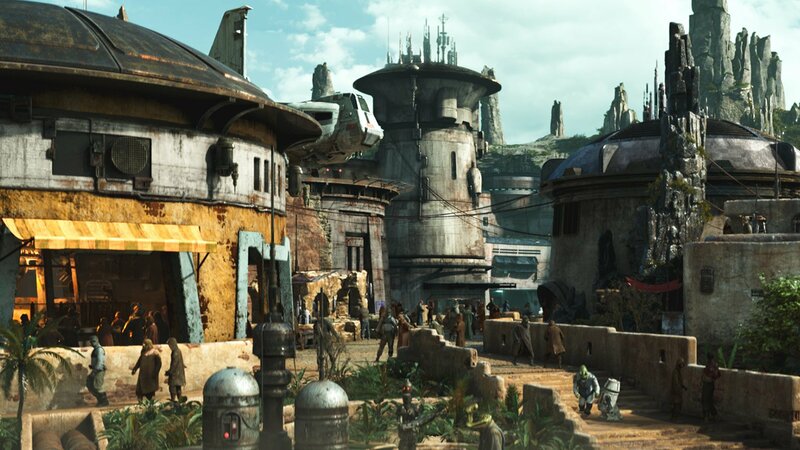 Batuu sounds like it's a vibrant place and the Lucasfilm Story Group is giving fans every resource they can to get acquainted with the environment before even setting foot in the park itself. The junk shop deals in rare antiquities that span the saga and galaxy. It's written by Ethan Sacks with art by Will Sliney. I even heard whispers that Doctor Aphra herself is on one of the covers(!!!!!). 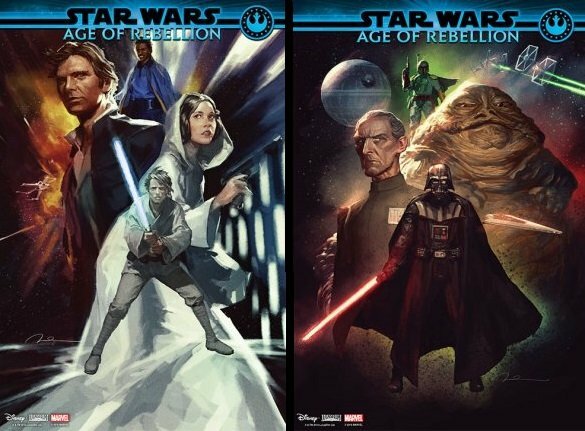 Writer Greg Pak spoke about Age of Rebellion, which kicked off this week with the double-debut of Leia and Tarkin (you can find our reviews of those here and here) and how doing these one-shot issues allows him to have so much fun. We got a glimpse of the Boba Fett issue, which looks like a western set in Star Wars. The series will also cover Han, Lando, Luke, Jabba, and end with Darth Vader. A new series was also announced – Target Vader. Yes, I know we have been walking a fine line with Vader fatigue for a while now, but this story of Beleirt Valance (Legends bounty hunter who was recently canonized in Han Solo: Imperial Cadet) will be hunting the Dark Lord of the Sith. It's written by Robbie Thompson and sounds awesome. When we last saw Valance in Imperial Cadet he was badly wounded and faced with the prospect of not getting treatment because the Imperial Navy wanted to save a few credits. I suspect that has something to do with his transformation to bounty hunter and I'm excited to hear about him and his crew tracking down Darth Vader. 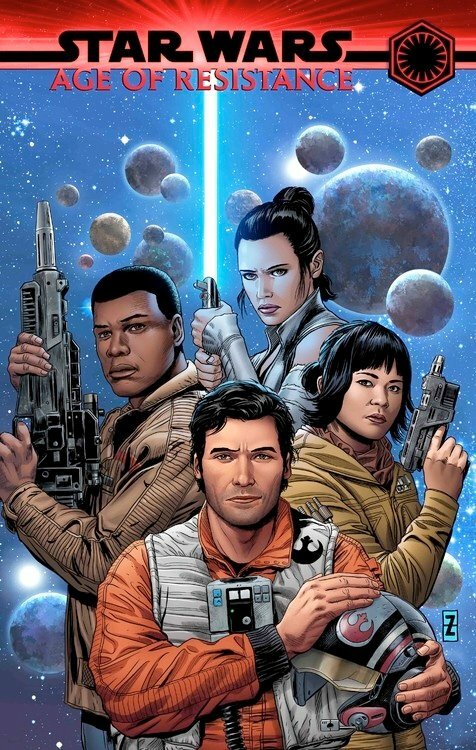 Some very exciting news for the titular series – writer Greg Pak and artist Phil Noto will be taking over Star Wars starting with issue sixty-eight. Pak said he wants to cover what happened with all the Imperial probe droids Vader dispatched throughout the galaxy, which assures us we will be moving into The Empire Strikes Back territory as our heroes deal with that. I have to hand it to Greg, that sounds incredibly interesting and a story I haven't considered at all. I can't wait to see what he and Phil Noto do. I loved Noto's work on Poe Dameron and Chewbacca. Age of Resistance also made an appearance and it's the series we know the least about. Writers Tom Taylor, G. Willow Wilson, Chris Eliopoulos and Elsa Charretier will handle these issues. We will see Finn as a janitor on Starkiller, learn more about Rey's journey to find Luke Skywalker, see the early days of Phasma, and learn how Holdo got that purple hair. There's also a story involving Maz and her history in the galaxy. It sounds like they were mum about the Hux and Snoke issues, which is not surprising, but we can look forward to those as well. I'm interested to see how this series coincides with the Journey to The Rise of Skywalker titles we'll be getting. I imagine they will stay strictly in the lanes of The Force Awakens and The Last Jedi. As we say often around SWNN, it pays to read your comic books! This is some great news for readers and fans who will no doubt be anxious for content to devour as we all look forward to December. 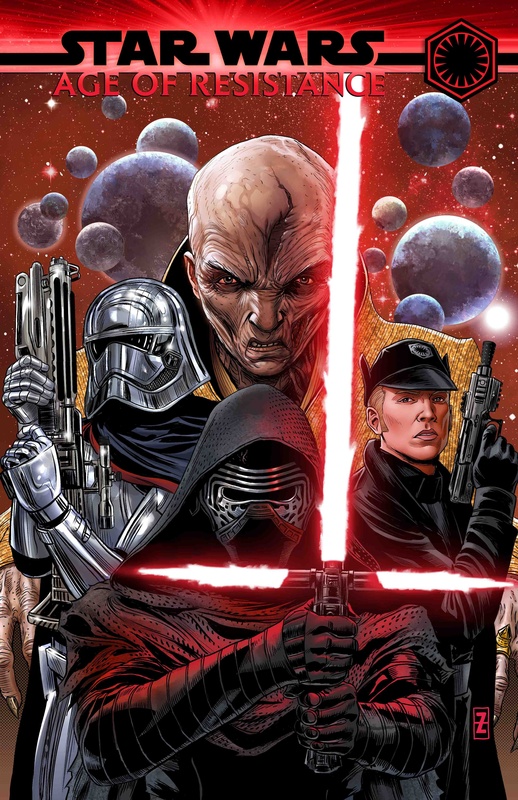 The Force is strong with Star Wars comics! Vader fatigue only happens with awful story telling, and uninspired art, other then that, keep those books coming!